Teams of students were given 48 hours to think of how digital disruption and emerging technologies may impact the future of travel. If you were asked to look 15 years into the future and suggest solutions to futuristic airport challenges, what will you think of? Some of the ideas presented by students from the University of Canterbury, in New Zealand, included robotic retailers, traveling by virtual reality (VR) and pilotless planes. 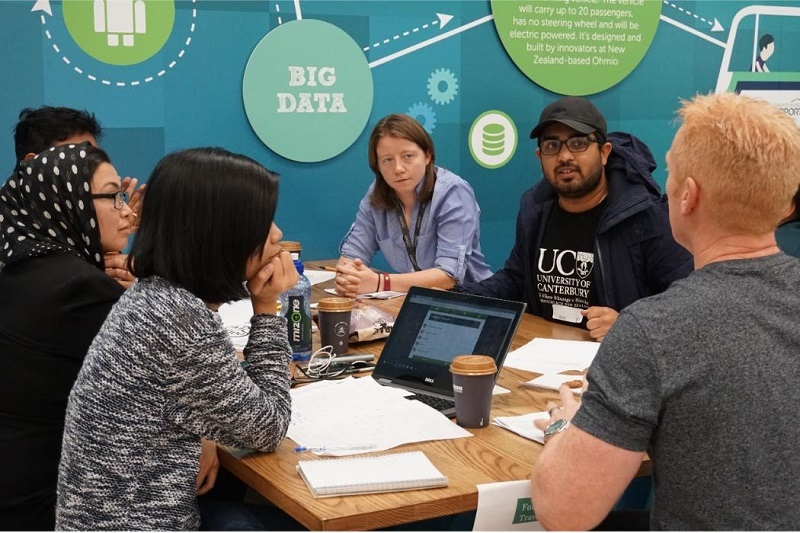 According to a recent press release, the Digital Innovation Zone of the Christchurch Airport, in partnership with the University’s Centre for Entrepreneurship, hosted the Future of Digital Travel Challenge. Teams of students, who were mentored by Christchurch Airport staff, were given 48 hours to think of how digital disruption and emerging technologies may impact the future of travel. The questions got students thinking about the opportunities and threats of changes to the way people travel as well as online retailing for the Airport. Moreover, they were tasked to consider the role insightful data could play in solving these challenges. The students were guided by speakers, mentors and experts in developing their range of skills that include teamwork, critical analysis, quick thinking and presentations. According to the Airport’s Manager Digital Solutions and Data Technology, the challenge replicated work that is already underway within the airport. Innovation is exciting, prompting the Airport to investigate how digital and emerging technologies can help them improve customer experience and build a stronger and safer business. The challenge helped widen the pool of talent that is looking at the issues. It is not easy to do particularly since the challenge only took two days. However, the teams did a good job at putting the customer at the centre. They learned a lot and were given the opportunity to talk to a range of mentors with real industry experience in order to develop their ideas. In addition, the students were exposed to some of the best robots on the market and got to see some of the latest cutting edge technology in action. Teams presented their solutions to a panel of judges. Their impressive ideas and insightful thinking may just come to life at the airport soon. The report highlighted some of the winning ideas. One is the ABI. It is an AI platform implemented on blockchain and controlled by the airport, which provides individualised needs-based marketing. It is an efficient and secure way for the airport and its partners to enhance the customer experience and better connect customers with retailers throughout their journey. Another would be the creation of a ‘Hyper-personalised Virtual Shopfront’, with a selection of products selected specifically for the individual. This signals that wearable Augmented Reality (AR) devices will be the future and all customers will be using them to interact with the airport. This will allow the airport to drive increased sales for retailers and an enhanced experience for customers. Another winning idea is the use of robots as they are the key to enhancing customer experience and improving retail spending at the airport. SecuroTron provides a streamlined and efficient security service for frequent flyers while ShopBot targets customers waiting for flights with retail and hospitality offerings tailored to their preferences.